Once again, Eddie has been left out. 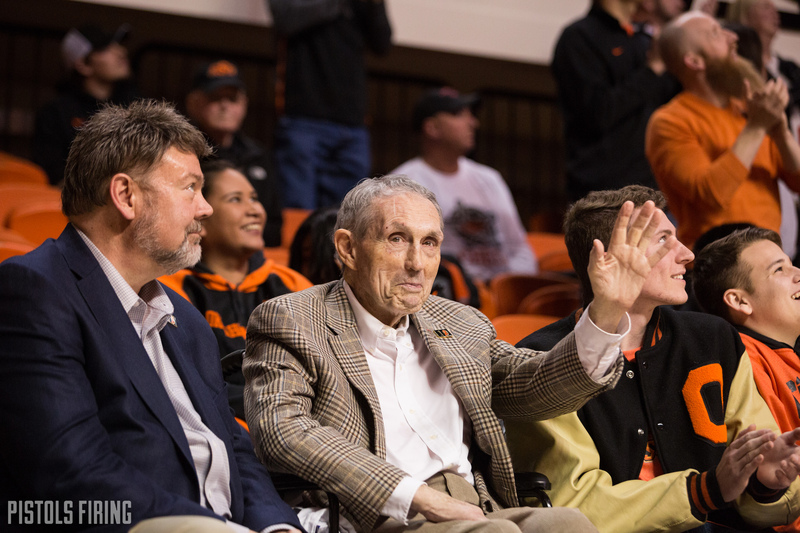 Earlier this year Eddie Sutton was named a finalist for the Naismith Hall of Fame for the sixth time, and for the sixth time, Sutton didn’t get voted in. Sutton, who is 83, failed to get 18 of 24 votes needed to receive the honor, and the Sutton family was informed Tuesday, according to the Tulsa World. Sutton coached 16 seasons at OSU. The Cowboys were 368-151 in that time. Sutton-led Cowboy teams finished in the Final Four twice, the Elite Eight once and the Sweet 16 three times. Sutton also coached at Creighton, Arkansas, Kentucky and San Francisco, and in total, Sutton’s teams have won 804 games. The Naismith Hall of Fame committee is made up of 24 unnamed voters. The inductees will be announced this weekend.